ROCKVILLE, MD. — – Local officials held a discussion on the current state and breakthrough of regenerative medicine, which is a cell therapy that aims to treat diseases. Regenerative medicine is a broad field that deals with gene and cell therapy or regrowing and the replacement of human tissue. “I’m highly confident that we have something that can cure HIV, but now, we have to prove it,” said Jeff Galvin, American Gene Technologies CEO. To better explain this, it’s where medicine and technology meets. 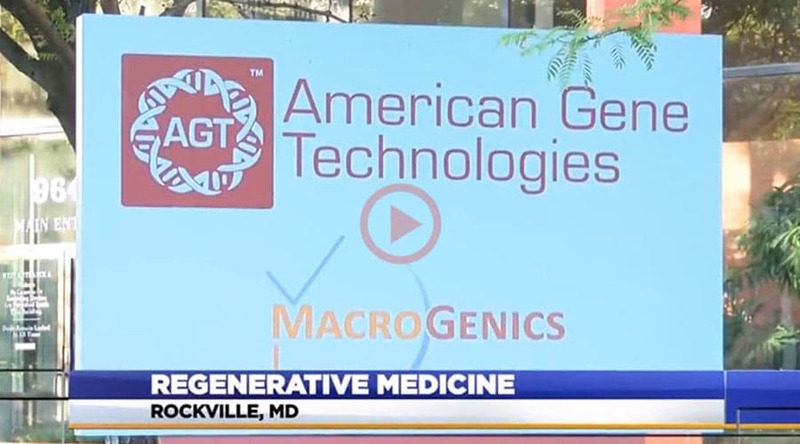 That’s where American Gene Technologies in Montgomery County comes in. “So we can replace a virus with essentially an update that makes your DNA better,” Galvin continues. The company is working on a list of drugs to not only deal with disease, but cure it with a new approach, but they say it’s a challenge. “They’re spending millions of dollars to get the drugs approved, but yet you only have a population of 10,000 patients who might be able to afford it to use it,” stated Irene Tennant, American Gene Technologies Director of Clinical Development. “We might have something that would be a whole new way for treating cancer where you wouldn’t’t need surgery, radiation and chemotherapy,” Galvin added. The discussion was filled with Maryland cell-based companies, entrepreneurs, researchers and industry leaders. “It’s a field that requires a lot of effort, a lot of money and a lot of great minds,” Dan Gincel, MD Stem Cell Research Fund Exec. Director, commented. Galvin and Gincel both say that progress is being made, and a lot of it starts right here in Maryland. “Between Baltimore, Montgomery County and Frederick together, We probably have a cluster of about 50 companies in the field,” Gincel adds. Officials say events like this show a very vibrant biotech community in Montgomery County. The Maryland Stem Cell Research Act was established by the governor in 2006. This year, the program has a budget of $8.2 million. This article originally appeared on LocalDVM.com.